The RCMP has justified the arrest of 14 Indigenous anti-pipeline protesters as a simple matter of law enforcement, but criminologist Jeffrey Monaghan says the RCMP has an enduring bias against Indigenous social movements. 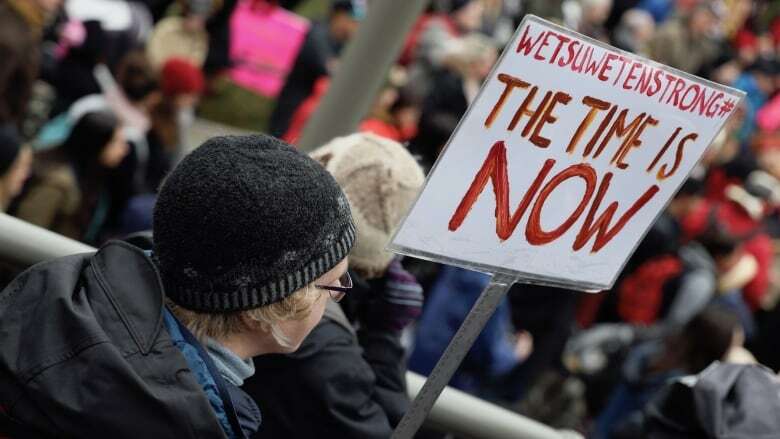 Clashes between anti-pipeline protestors and the RCMP earlier this week in the traditional territories of the Wet'suwet'en nation may have been years in the making, according to criminologist Jeffrey Monaghan. The Carleton University professor says the RCMP has been fixated on the Unist'ot'en clan — who are at the center of this week's dispute — since at least 2011. Through Access to Information requests, Monaghan has uncovered a number of official government documents that he believes reveal consistent bias against members of the Wet'suwet'en anti-pipeline movement. Day 6 reached out to the RCMP for comment, but did not receive a response. A years-long dispute between Coastal GasLink and members of the Wet'suwet'en nation came to a head this week as RCMP officers enforced an injunction and broke down a blockade on traditional Indigenous land, arresting 14 people. The conflict centers on a proposed natural gas pipeline that would pass through the land — a project approved by the nation's elected leaders, but staunchly opposed by hereditary chiefs. On Thursday, the hereditary chiefs and RCMP came to an agreement over road access for the company, although the Indigenous leaders say their fight is not over. When pipeline companies want to build on Indigenous lands, with whom do they consult? Monaghan has studied RCMP responses to social movements for the better part of the past decade. He says the police force is far from impartial when it comes to Indigenous protests. This is part of his conversation with Day 6 host Brent Bambury. Through Access to Information Requests, you obtained some classified documents that shed light on how police forces measure the risk of Indigenous social movements and organizations. When you look at those criteria, what stands out for you? Yeah, they're really fascinating documents. A lot of these criterias are really about the successfulness of movements. One of the key documents I've written about is specifically evaluating group risks, and one of these key evaluators for ... riskiness is how much success the movement can have. Is there a visible leader? Do they appeal to the public? Do they have public support? Are they able to get media responses? All of these categories of successfulness are being reinterpreted as forms of risk. That idea, though, that a leader of some kind of a protest might have a profile that boosts them outside of their community is a really interesting one. What does it signal to you about the RCMP's priorities when it comes to Indigenous issues? Absolutely. I think the RCMP's priorities are complex, and part of what my work has looked at over the years is the constant scrutiny of Indigenous groups and Indigenous movements. And if you look at the Unist'ot'en camp ... [it] has been a central fixation in the RCMP's reports on Aboriginal public order and Aboriginal protests over the last five-plus years. You uncovered previously classified RCMP documents — these date back to 2015 — and they specifically reference the Unist'ot'en clan whose land, as you say, is at the centre of this week's dispute. What did the documents tell you about about the RCMP's obsession with it? These documents are revealing for a number of reasons. One, the Unist'ot'en have been a central fixation in terms of regular reporting, in terms of monthly intelligence reports, by the RCMP for a long time. What is typical of these reports is a long narrative around the benefits of various pipelines — the economic benefits, the environmental benefits in some cases — and then when it turns to the Unist'ot'en, all that's really represented is the Unist'ot'en as threatening. They're called "extremists," they're called a splinter group. And what really comes out of these representations is that the Unist'ot'en are a focal point of political opposition to pipelines. Let me give you a quote. This is a secret document that was released in 2015 from what's called the Government Operations Centre. 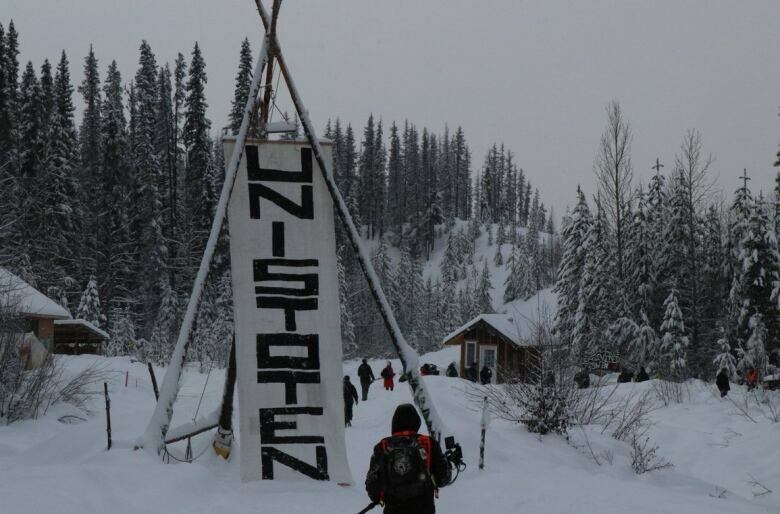 This is a [Government of Canada] report specifically on the Unist'ot'en and it says: "the Unist'ot'en blockade camp is the ideological and physical focal point of Aboriginal resistance to resource extraction projects." This is a risk assessment report. One of the important things that comes out of a lot of these risk assessments is really the challenge from [a] policing perspective of all of a sudden, if these groups get public momentum — if they have effectiveness in terms of their mobilizing — they're harder to control. And what's really important to underline out of this is it's not necessarily about crime. It's more broadly about public order maintenance and control. Then when you hear the RCMP describe their actions as impartial — that they are simply acting to ensure public safety and enforce the law, as they said they were this week — do you think that you've uncovered evidence that shows that they're biased in favour of the energy companies? Well, I think that's exactly it. I think if you look at the regular, everyday bureaucratic characterization of the Unist'ot'en camp — and even Aboriginal protest more broadly, in terms of extremism and all these different labels that they regularly use to describe these groups — yeah, absolutely. I think that there is a long-standing antagonism between the RCMP and these groups, and the outcome of that is really just what we've seen over the last week, but the years and years of accumulation of intelligence on these camps of characterizing them in a certain way is what kind of leads up to that outcome. And I think even on top of that, if you really look at the risk scales, and the way that the everyday policing happens and is practiced against these Indigenous groups, a lot of it has nothing to do with crime. It really has to do with the effectiveness of these groups and what I think we saw last week was an attempt to really reduce the effectiveness of these groups. Obviously there's more to come, but there is a sense of resolution at the end of the week when things de-escalated and the blockade is down — the RCMP and the hereditary chiefs are negotiating. Is it possible to see that as a vindication of the RCMP's approach, at least in this instance? I think that's an interpretation of it and, to me, that would be a somewhat tragic interpretation because if you look at the statement from the Wet'suwet'en and from the Unist'ot'en camp, they decided to take down the second blockade that you're referring to because of the violence of the first blockade. So, I think that's just a vindication of [the idea] that violence can be used to intimidate people, and I don't necessarily think that's a good vindication of the way that we should be using police force. This transcript has been edited for length and clarity. To hear the full interview with Jeffrey Monaghan, download our podcast or click the 'Listen' button at the top of this page.